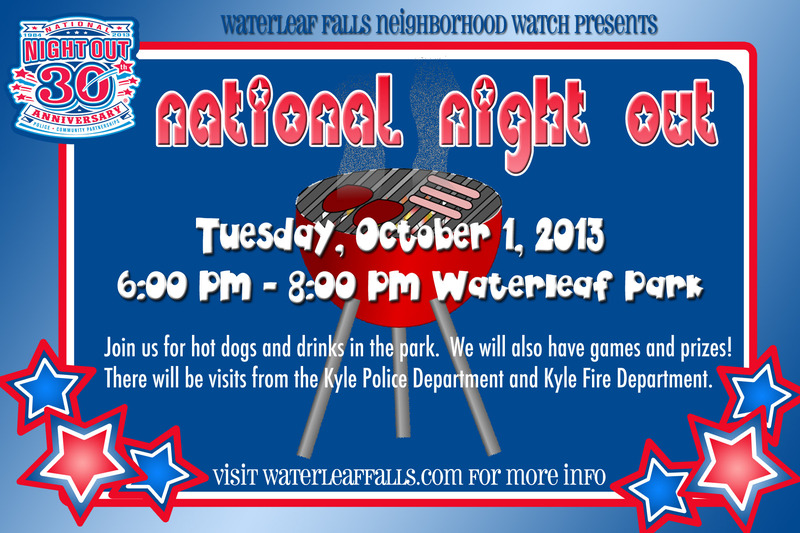 Neighborhood Watch invites you to celebrate National Night Out in Waterleaf! Join us at the Pool Pavilion Park. We will have hot dogs and drinks along with a few games and prizes! There will also be visits by the Kyle Police Department and Kyle Fire Department. Come out and meet your neighbors! Please note: This event is taking the place of original plans we laid out for October 5th. Unfortunately, that event has been cancelled. Also note there will be no other meeting in October.